If you have bad credit or no credit history, it can be tough to take advantage of the best pricing plans available from wireless companies — even if that stain on your credit report is years old. Today, T-Mobile said that subscribers with imperfect credit may now be able to enjoy the company’s $0 down-payment perk — if they’ve been loyal and responsible customers. 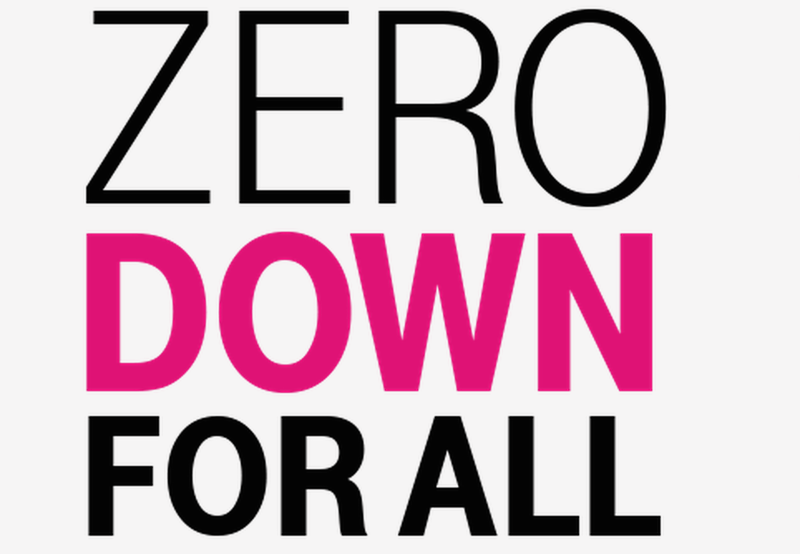 Dubbed “Smartphone Equality,” T-Mobile will allow users with 12 consecutive months of on-time payments to get their next device with $0 down instead of being forced to make a down-payment because of bad or inadequate credit. But that’s a bit of an exaggeration, as the offer requires that you must be a T-Mobile customer for a year before you can take advantage of the $0 down payment. So an AT&T or Verizon customer with subprime credit couldn’t print out a year’s worth of statements showing on-time payments and enjoy the $0 down offer. Instead, they would have to switch to T-Mobile, where they would presumably have to make some sort of down-payment as they have bad credit and no history with the company. We’ve contacted T-Mobile to confirm that this offer is restricted only to customers with a 12-month history at T-Mobile. If we hear anything back, we’ll let you know. UPDATE: A rep for T-Mobile has finally confirmed that the 12-month history must be with T-Mobile. A customer could not qualify with statements showing regular payments to a competing company. “This is about a customer’s relationship with T-Mobile,” says the rep.
All of this is not to say that Smartphone Equality is a bad idea or should be avoided. It will indeed allow people with dinged credit to prove themselves while their credit report gradually improves. And if they stay with T-Mobile and continue making payments, they would likely continue to enjoy this $0 down perk. The real question is whether what T-Mobile is offering is any different than what the competition is already doing with regard to loyal customers? It’s not unheard of for wireless companies to ignore credit reports and scores after a subscriber has shown they are not a risk. So it’s possible your current provider might already be weighing your payment history more than your credit score. And it can never hurt to politely point out that you’ve never missed a bill and shouldn’t continue to be penalized for a credit card debt you screwed up five years earlier.